Choti Holi falls on the 20th March 2019…followed by Rangwali Holi the next day i.e. on the 21st of march 2019 .. 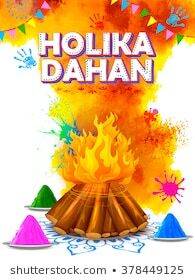 According to Hindu scriptures Holika Dahan, which is also known as Chhoti Holi, should be done during Pradosh Kaal (the twilight time , that starts immediately after sunset) . It is important that Purnimasi Tithi should be prevailing during that time and Bhadra period should be avoided. Bhadra prevails during first half of Purnimasi Tithi and all good work should be avoided during Bhadra period. Take a coconut which has brown fibers in the outside and has water in it. Now take a black thread which is equal to your height. wrap the thread around the coconut and tie it. After that rotate it anti clockwise ( from left hand side to right hand side of the person whose utara or energy cleansing it being done). This has to be done seven times as these 7 anti clockwise rotation represents the cleansing of the 7 main chakras of the person. After that , throw it in Holika bonfire . take seven circles of the holiday clockwise, bow to the Divine and mentally pray that all your negatives are absorbed in the coconut and is destroyed in the fire , the energy is transmuted to positive energy and for your highest good. Make a paste of wheat flour and mustard oil and apply it on your body, scrub this paste on your body and collect the scrub that was rubbed in the body, keep it on a paper and fold it. while scrubbing this paste mentally pray that you are releasing all your blockages, negative karmas through this scrub and it is being released from your Mind, Body and Soul.. 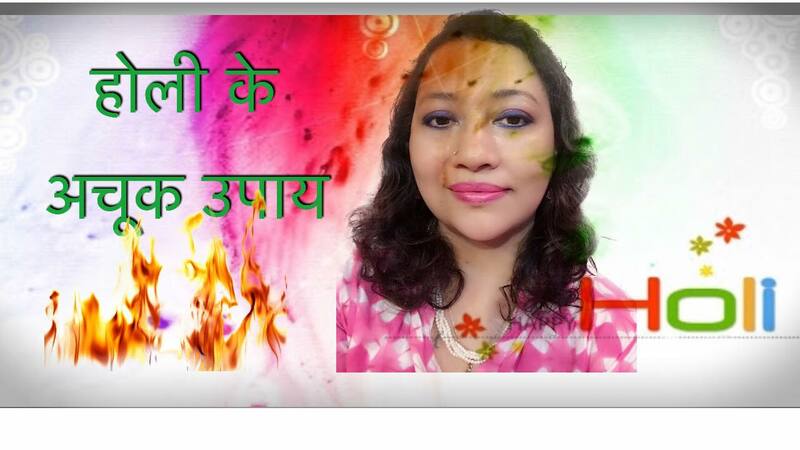 Throw this paper on the Holika fire and seek the Divine blessings to protect you in your life from any health issues and negative impacts , blockages in life..
Use organic and natural colors , also playing hold with sandal wood paste , Multani mud, coolers made from flowers and fruits can bring immense joy and radiance in your life.. Previous page Previous post: Mukesh Ambani bails out Anil Ambani by paying up INR 453 Crores… Had predicted their coming together in ZEE Business in 2011 & in Sahara SAMAY in 2007.